If you have central air conditioning, you’re probably used to the comforting sound of it clicking on followed by a rush a cool air coming through the vents. But what happens when that cool air unexpectedly stops flowing? 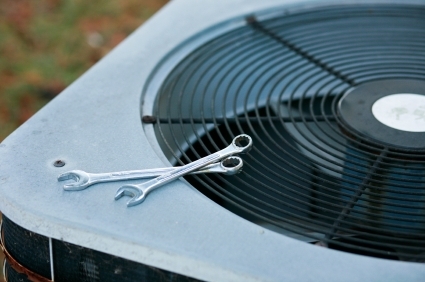 How can you tell if your air conditioner is broken and if it’s time to call in the professionals? Before you pick up the phone to call a repair expert, you may want to take a few minutes to determine whether or not your air conditioner is really broken, and if so, what the problem might be. You may be able to quickly troubleshoot — and yes, possibly even repair — the problem yourself. 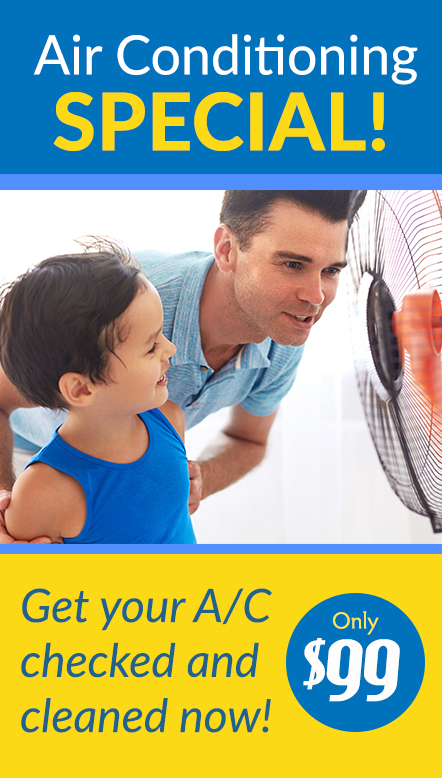 And if not — you’ll at least be in a prime position to receive an accurate quote from your local cooling professionals. Should your central air conditioner decide to call it quits, follow these eight tips that can get it back on track. If your air conditioner isn’t working properly, the first thing to check is your thermostat. As a first step, make sure your thermostat is in cooling mode and set to a comfortable temperature. Pull the thermostat off of the wall and check the wires with a multimeter to determine the voltage. If you’re not getting voltage to the thermostat, check your fuse box to see if any of the fuses have been blown or tripped. If the fuses are OK, locate the switch connected to your central air conditioner (it’s probably the same fuse for your furnace since the blower is used to distribute both hot and cold air through the house). Turn the switch on and check your thermostat to see if that reset the connection. If you are getting voltage, but the screen is still blank, go outside to the air handler to see if the fuse has been tripped. Take off the face of the air handler. Inside, you should see a small box that’s screwed closed. Remove the screws to access the wires. Look for a 5 amp buss fuse. When this fuse goes out, it often causes your thermostat to go blank. If the fuse is blown, it simply needs to be replaced. If your thermostat still isn’t working, check your warranty to see if it’s expired. Thermostats can break down after time and it’s possible that your thermostat needs to be replaced. Take a deep breath and remember that oftentimes the simplest explanation could be the most plausible explanation. If your air conditioner has stopped working, it’s likely because it either has no power supporting it or something told it to stop working. Therefore, check to see if the unit is actually connected to a power source. Start by looking for any tripped fuses or see if someone has sneakily turned the unit off. If your house loses power altogether, it’s best to turn off your air conditioner to protect it from damaging the compressor. If you are ever in this situation, contact your power company to inform them of the power outage and see when they anticipate service will be restored. Check your thermostat to see if the fan is turned on. If the fan is turned off, try turning it on using your thermostat. If the air handler starts to run, you know that the blower is still getting power. If the fan doesn’t turn on, that might indicate that you have a blower problem. A clogged condensation drain can cause your air conditioner to malfunction. To check the condensation drain, remove the panel covering the condenser coils on the exterior unit. If the coils are dirty, this will block the condensation drain and reduce the efficiency of your air conditioner. Recheck the air handler after each step to see if it kicks in. If there is still no activity, you will want to consider contacting your local air conditioning professional. Another reason your air conditioner may shut-off is due to high pressure. On an extremely hot day, the high-pressure switch of your air conditioner may trip, shutting off the compressor. You may be able to fix this problem by flipping the circuit breaker off, cooling the air conditioner compressor with water from a hose, and then switching the breaker back on. Some central air conditioners have two circuits: one for the outside (condensing) unit and one for the blower unit; make sure to check them both. Dirty or obstructed fan blades are common culprits of noisy air conditioning units and can interrupt air flow. See if this is the case by turning off your unit completely and checking the unit blades to ensure they are clean and unobstructed. If you see any dirt or an obstruction, follow a tip from our spring air conditioner checklist and brush away any accumulated dirt or clean the unit with light water pressure from a garden hose. Sometimes the root of the problem may be a damaged or dirty filter. If it’s been more than a month since you last changed your air filters, replace your filter and see if that helps. Air filters need to be changed regularly because old filters can get clogged and impair the function of your central air conditioner. Changing your air filters is an easy air conditioning repair task that can be done quickly — just make sure you know the exact size of your filter before purchasing a replacement. Local hardware stores traditionally carry filters for air conditioners, as well as some department stores like Target and Walmart. Frost can build up on an air conditioner if you allow it to operate when the external temperature runs below 60 degrees. Switch your air conditioner off, and leave it off, until the frost completely melts away and the external temperature rises above 60 degrees. Keep a close eye on your unit for the next several days for a recurrence of this problem. 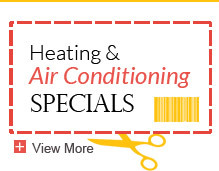 If it does occur again, call your local repair professional for an air conditioner repair. Low air pressure followed by the release of unpleasantly warm air is oftentimes an indication of a refrigerant leak. If you suspect a leak, the best advice we can offer is to call a professional immediately, as the leak could be anywhere in your line or unit coils. Luckily, the repair may be as simple as soldering that leak in your line or replacing a coil, meaning you will be back up and running in no time. If and when your central air conditioner decides to call it quits, be sure you are checking the power supporting your unit, the circuit breaker, and the inside components of your unit. Oftentimes the problem may just be a simple fix. However, if you are still experiencing any problems with your central air conditioner that we didn’t cover or your problems recur after troubleshooting, contact us to schedule an air conditioning repair service. Also, to minimize the risk of repairs, we suggest performing regular air conditioner maintenance to keep your A/C running in tip-top shape. Have a troubleshooting question for us? Leave us a comment down below! 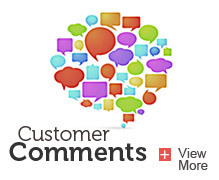 I have learned a significant amount of useful information from your post. Thanks for this wonderful share!.. really appreciated.. The theromostat set to 76 it reads 83 on screen . It cools 2 rooms almost 3 but our living room is so hot and unit just runs and runs and it hardly ever turns off. I know it has been really hot, we live about 100 mi SE of Amarillo, TX but why is it cold, cold in 2 rooms, comfy in 1 room and hot, hot in living room and unit never turns off hardly which of course if causing electric bill to be over 225 a month right now. THey came and checked it once and said it didnt need freon and changed some part they said it needed but problem still not corrected. Any advice would be appreciated. Thank You. This may not be the best place to ask this,but, I’d like ac service. A company called Castellano Air Conditioning, 2206 1/2 N Armenia Ave, Tampa,Fl 33607-3414 (813) 877-6997 is located not far from me but i can not find many reviews on them. Thanks guys! This is some great information, and I appreciate your point that warm air and low pressure can indicate a refrigerant leak in your AC. My house has been having issues staying cool, and when I checked the airflow from one of the registers, I noticed this problem. I’ll definitely look into having a professional come to see if there’s a refrigerant leak and to fix it. Thanks for the great post! Thanks for bringing to my attention that excessive noise can indicate problems with your air conditioner. It’s spring now, so I just turned on my AC, and it’s been really loud while running. I don’t think that’s normal, so maybe it would be a good idea to have a professional come and inspect to see if it needs repair or cleaning.